Galloway Township Police responded to 970 calls for service during April 2, 2017 through April 8, 2017. Additional statistics include: 3 Burglaries, 2 Car Burglaries, 21 Motor Vehicle Accidents, 120 Tickets issued, 2 Driving While Intoxicated, 38 Arrests, 13 Domestic Violence, 5 Fire Calls, 21 EMS Calls and 1 Juvenile calls. 300 Block of Arbutus Ave.
500 Block of 6th Ave.
1300 Block of Rene Ave.
500 Block of 8th Ave.
Stacey Watt, 46 of Egg Harbor Twp., NJ was arrested by Det. Jason Kiamos and charged with Fraudulent Use of Credit Cards & Theft of Identity on April 7. Laquann L. Anderson, 27 of Galloway was arrested by Det. Matthew Worth and charged with Aggravated Assault, Aggravated Assault with a Weapon, Possession of A Weapon For Unlawful Purpose, & Certain Persons Not to Have Weapons on April 6. Shana N. Pascalli, 25 of Iselin, NJ was arrested by Det. Matthew Worth and charged with Hindering on April 6. John B. Conner IV, 27 of Hamilton TWP., NJ was arrested by Ofc. Ronald Gorneau Jr. and charged with Possession of CDS on April 5. Shawn M. Fustin., 31 of Paulsboro, NJ was arrested by Ofc. Ronald Gorneau Jr. and charged with DWI on April 5. Sarah A. Smith, 40 of Galloway was arrested by Ofc. Kevin Costa and charged with Possession of CDS & DWI on April 5. Lauren N. Conover, 34 of Brigantine, NJ was arrested by Ofc. Dominic Fabrizio and charged with Possession of CDS & Possession of Paraphernalia on April 4. Shawn D. Seely, 43 of Hamilton Twp., NJ was arrested by Det. Bryan Casey and charged with Possession of CDS on April 4. Ryne T. Samler, 24 of Manahawkin, NJ was arrested by K9 Ofc. Brent Lopez and charged with Shoplifting on April 3. Eric L. Williams, 18 of Atlantic City, NJ was arrested by K9 Sgt. Scott Winneberger and charged with Possession of a Firearm for Unlawful Purpose, Possession of Handgun & Tampering with Evidence on April 3. Kenneth A. Thompson Jr., 18 of Atlantic City, NJ was arrested by K9 Sgt. 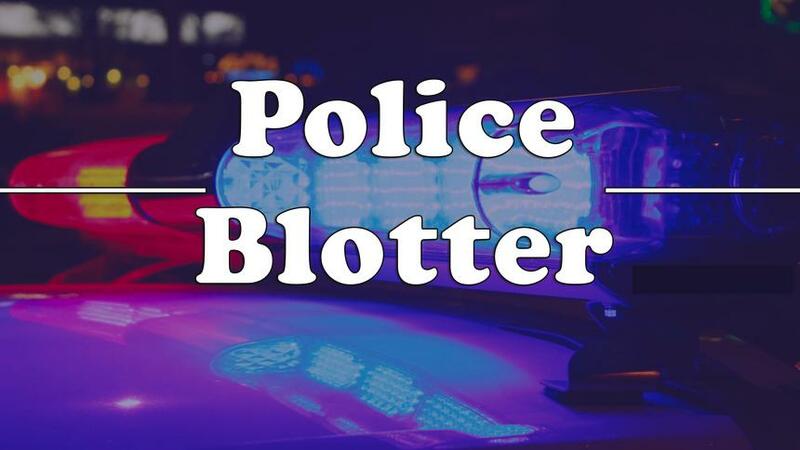 Scott Winneberger and charged with Possession of Firearm for Unlawful Purpose, Possession of a Handgun, Tampering with Evidence & Possession of CDS on April 2. Jakerah L. Callaway, 20 of Atlantic City, NJ was arrested by K9 Sgt. Scott Winneberger and charged with Possession of A Firearm for Unlawful Purpose, Possession of a Handgun & Tampering with Evidence on April 2. Deshawn J. Hose, 19 of Atlantic City, NJ was arrested by K9 Sgt. Scott Winneberger and charged with Possession of A Firearm for Unlawful Purpose, Possession of a Handgun & Tampering with Evidence on April 2. Rolando R. Morales-Rios, 34 of Woodbine, NJ was arrested by Ofc. Alexander Bennett and charged with Hindering on April 2. 15 year old Male from Galloway was arrested by Det. Matthew Worth and charged with False Public Alarm on April 4.